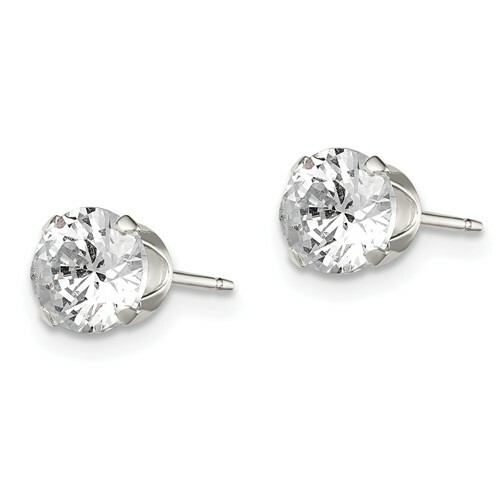 5.0mm round cubic zirconia stud earrings are made of sterling silver. Four prongs. Weight: 0.67 grams.